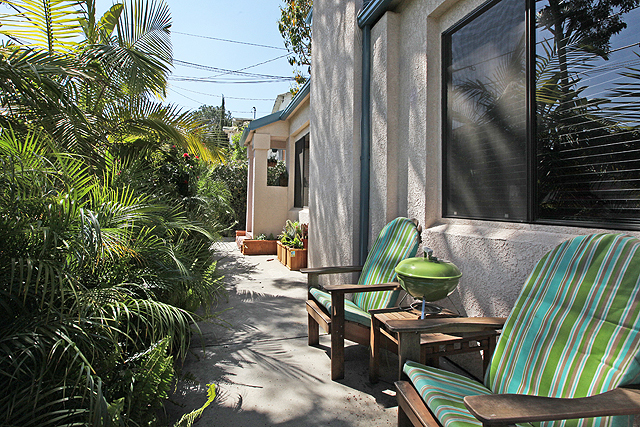 Nestled in a pocket neighborhood equidistant from Los Feliz Village and Silver Lake’s Sunset Junction is the Clayton Avenue Building, a 4-unit town home condo. 4353 Clayton #1, with sweeping treetop vistas of Franklin Hills from both stories, has 2 bedrooms en suite with 2 bathrooms, along with a gated 2-car tandem garage with in-unit laundry. Entertain from either open plan dining or living rooms, or enjoy a quiet moment from the front patio or private outdoor balcony. Oak hardwood floors complement the space, along with eco-friendly paint, newer HVAC system, newer roof, and an intercom. A quarter bath on the main level is perfect for guests. 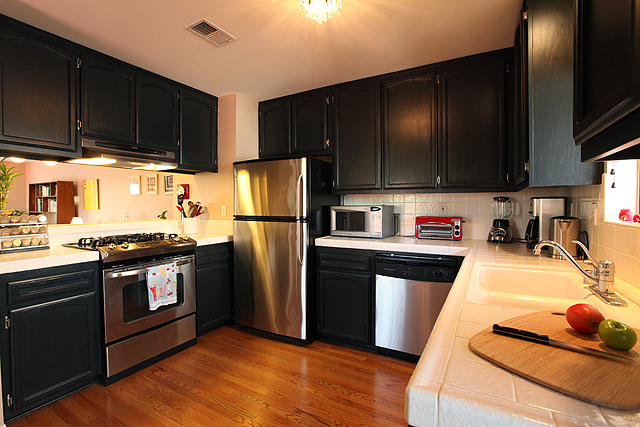 The kitchen, complete with stainless steel appliances, may also work for the budding chef. 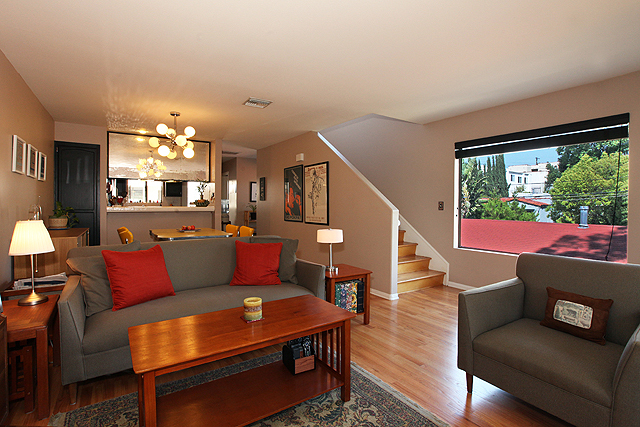 For Buyers in the Los Feliz market, the town home on Clayton shares 1 common wall and the complex is FHA-approved. 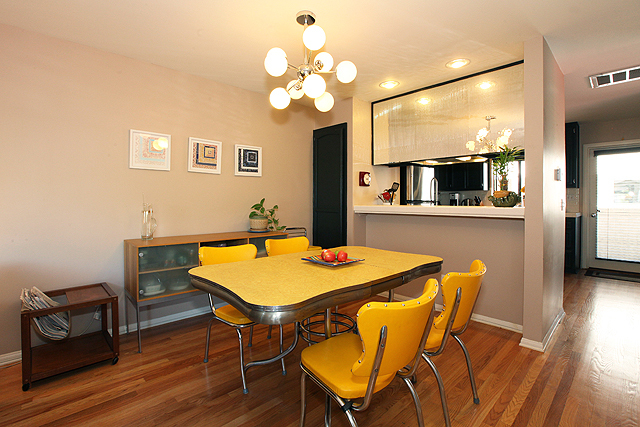 Offered at $519,900. For additional information and showing opportunities, please call Jovelle Narcise at (213) 718-1110. The home will be open this Sunday, June 3 from 2 to 5 p.m.